Here in frigid Michigan we just had ourselves a little snowfall (18 inches that fell on top of the 8 inches we received four days earlier) and are now dropping down to -35 below wind chills for the next couple of days. Something a bit surprising, perhaps even a little shocking happened on Saturday because of the pending storm. No, the amounts of snow were not shocking. The bitter arctic cold isn’t all that shocking. After all, this is Michigan, the land where a 40 degree day means a trip to the Dairy Queen. No, what was shocking was that people lost their freaking minds!! What happened to all the storm tested Michiganders that I grew up with? And who are all these pansies that now live in this state? On Saturday thousands of people made a run on grocery stores, big box stores, gas stations, heck even the Seven Elevens were cleaned out. All day Saturday on Facebook, Twitter, the 6:00 news, and even morning radio broadcasts were stories and images of people waiting in line for over an hour to get their “emergency supplies.” The shoppers who went out just to do their weekly grocery trip were in for a huge shock when they arrived at the markets. People were grabbing eight gallons of milk at a time. Fights broke out over bananas. Seriously! People were fighting over bananas. Store clerks were spit on because they ran out of apples. 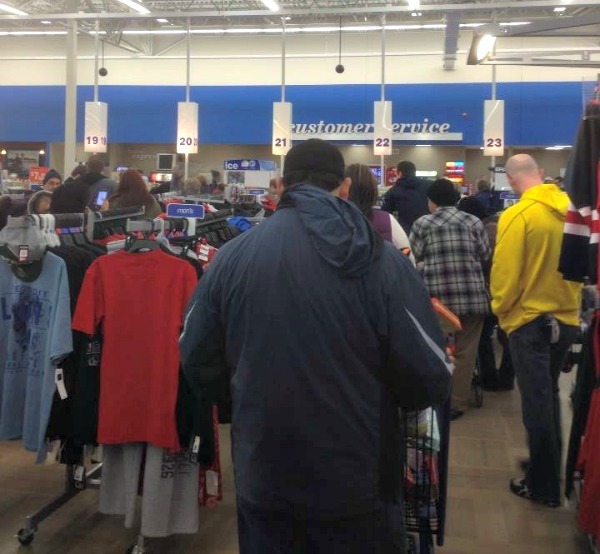 One Meijer employee reported that at one point the ticket counter at the deli department was 541 customers waiting to be served. By the end of the night store shelves were completely bare. Old ladies had their buggies ripped out of their hands. Stores shut their doors early because they had nothing left to sell and customers were getting angry. My mind was blown over and over again as I read the next twitter update or Facebook post. 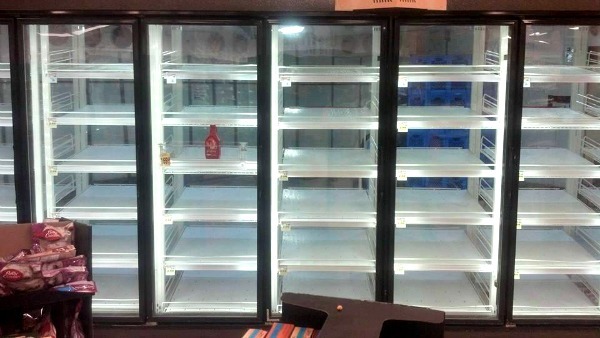 Why is it that if a snow storm comes having bread and milk suddenly become a matter of life and death? This morning listening to Dave and Chuck the Freak recap the craziness led to this post I am now writing. Many cracked jokes or insulted the people who were panicking to get the items they needed to be snowed in for a couple of days. 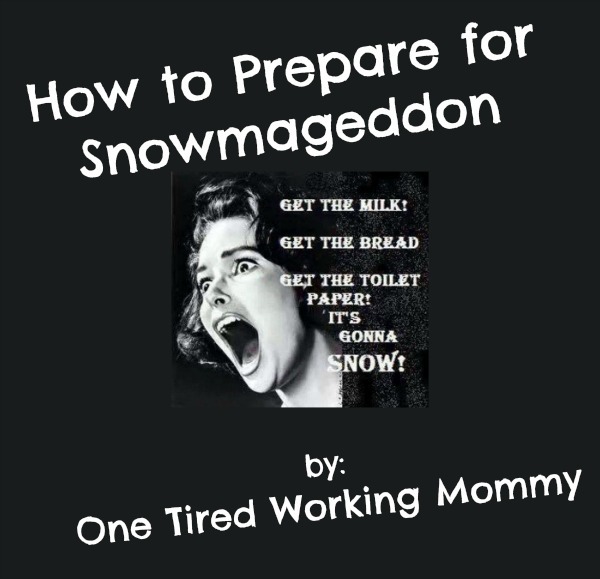 While I agree that some people totally over reacted (are you really going to drink 8 gallons of milk before they spoil), what I found alarming is just how many people are truly unprepared. All these families didn’t have enough supplies in their house to survive a 24-48 hour period? 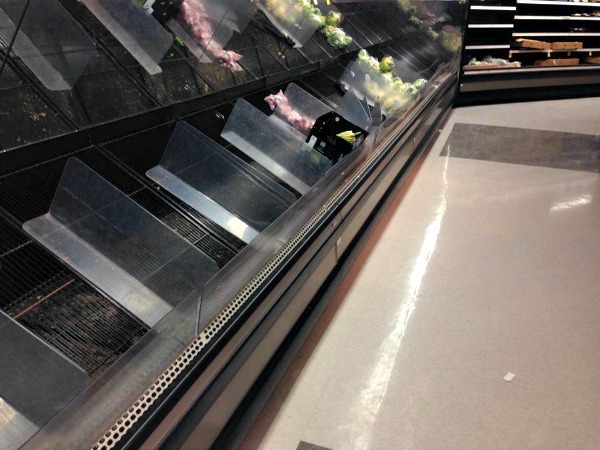 In a matter of 10 hours dozens of grocery stores were completely stripped down to the bare shelves. Fist fights broke out because of bananas. If you really stop to think about it, this isn’t just a funny story to retell on a radio show or laugh at on Facebook. This is a glimpse at people in general, and a peek at how fast things would fall apart if something really bad were to happen. It serves as a lesson, that the best way to be prepared for a snow storm, or a power outage that lasts over a week, or just about anything, is to have what you need on hand, before you need it. 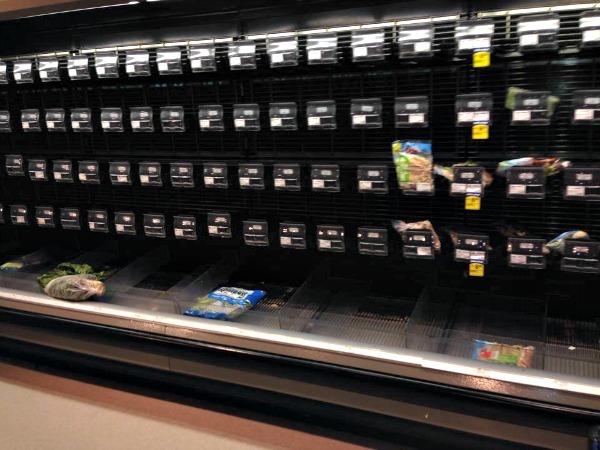 A lot of people went home Saturday night empty handed because by the time they got to the stores all the produce, dairy, and meats were gone. You can get much more comprehensive lists from a quick Google search for FEMA or check out my post on The Zombie Apocalypse. Plus you know what you family will and won’t eat or their special needs. You don’t have to get all this stuff at once either, start picking it up here and there while you’re running errands. The main thing is just to START. Also, don’t wait for the last minute. I admit it. 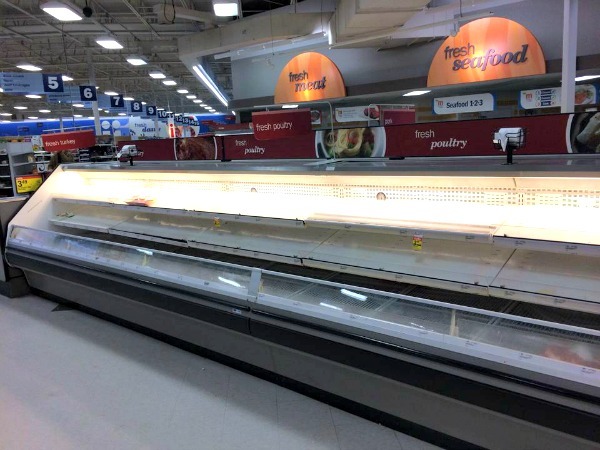 I went to the market to get bread and milk, as well as eggs, lunch meat, ingredients for a big pot of stew, wine, and a few other items, but I went on Friday and was practically the only person in the store. I casually purchased my items, filled my gas tank on the way home, and then sat comfortably in my house on Saturday waiting for the snow to start falling. The news was telling of the coming storm as of Wednesday so its arrival wasn’t that much of a surprise. Do you have a story to tell from Saturday? Share it below! « Apps That Changed My Life! 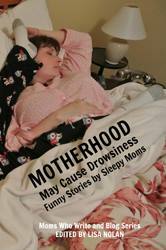 LOVE the name of your blog! 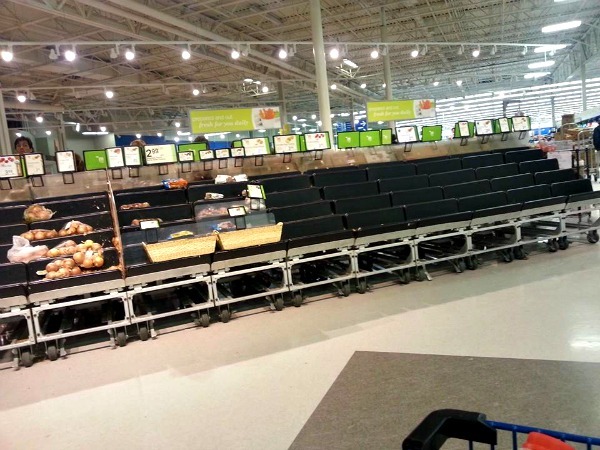 I live in VA and ANYTIME the mention of snow comes grocery stores are bare!